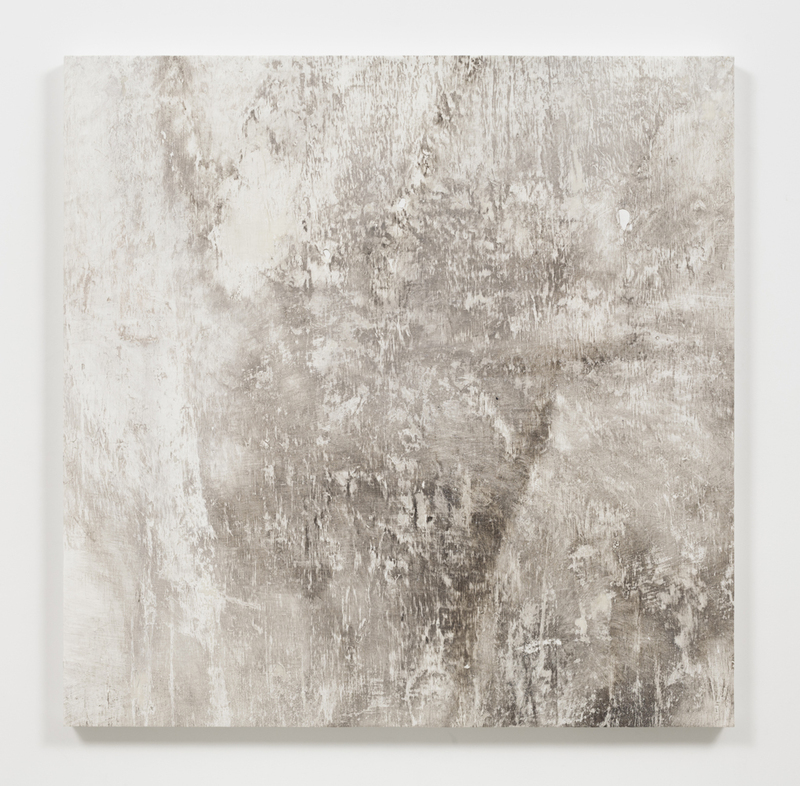 MEXICO CITY–BASED artist Pablo Rasgado’s work was on view at the Steve Turner Gallery from May 9 to June 6. Turner has made it a specialty of his to go South and find some outstanding artists, and Rasgado is one of them. For this exhibit, entitled Ellipsis, five bodies of work from the past seven years were featured. Ellipsis was conceived and planned over the past year, intending to show the connection between different bodies of artwork that are separated by a considerable amount of time. Even though the presented art comprises several years of studio work, this exhibition is not a retrospective, or even a summary. Rather, it is a revision or a re-editing, since the selection aimed to showcase particular lines of interest for the artist. Through selected leitmotifs in his work, the exhibition directs our attention to the invisible lines that connect them. Upon entering the gallery I was struck by the overall elegance of the space, and indeed the installation was one of the best I have seen in a gallery this year in Los Angeles. The precise positioning of the work, the relation of coloration between objects and walls, the resonance of objects to each other from every vantage point — in a large space broken up strategically by temporary walls — proved exceptional. The display is conceived in such a way that as you traverse the space, some pieces are obscured by the temporary walls, while some others appear from behind them, allowing the visitor to see the works that are meant to be seen together. Ellipsis, 2015. 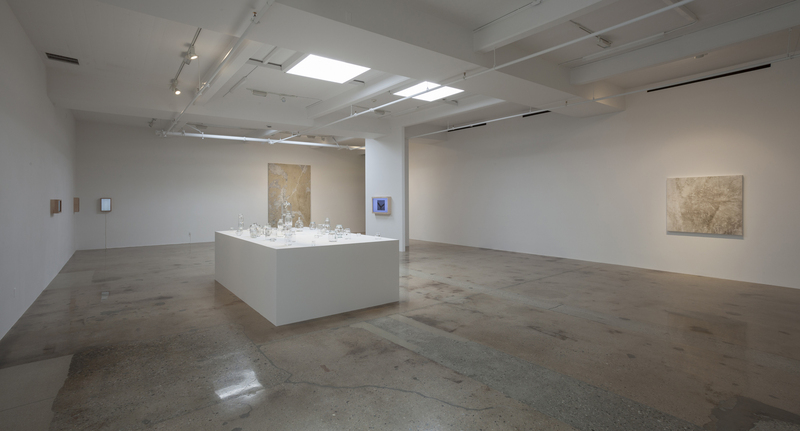 Installation view, Steve Turner, May 2015. The gallery design helped tease out subtleties in Rasgado’s work that are quiet enough they might be lost in a less carefully conceived and composed setting. In the past, Rasgado has worked with ideas of light, gravity, and energy. 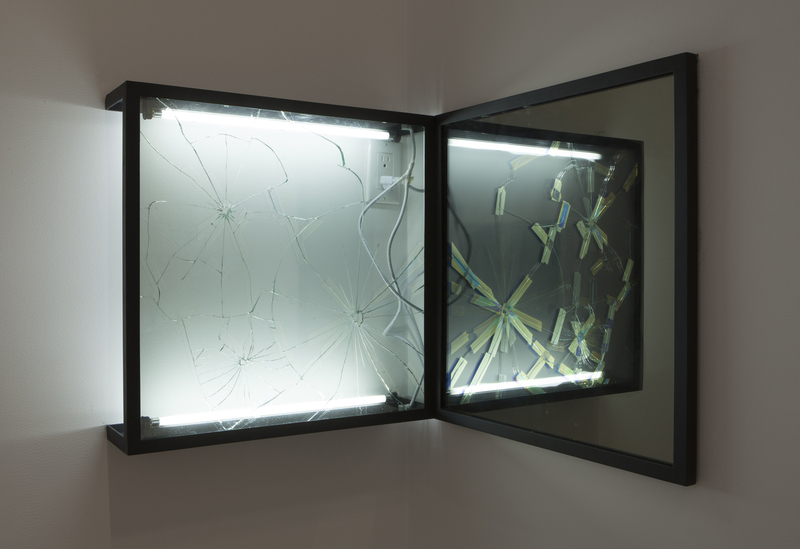 The image of a jagged line of lightning appears generously in the paintings, photo-based works, and broken mirrored surfaces. Such images evoke ephemerality and time, that which is here now and then suddenly absent. He also presents traces, the evidence left behind of some action, by natural or industrial forces, and then captured by the artist. These works seem to nod to action painting, to suggest an archival function of representing duration and location. Other works play with perception, bending it just beyond our reach using mirrors, light bulbs, photos, or spiderwebs to suggest change, decay, and regeneration — perhaps an inverted creation mythology. In fact, the first piece the viewer encounters in the exhibition is a delightful installation, Levitación. It is composed of a group of 57 glass jars piled upon one another, and each contains an object held by spiderwebbing. Because of this fragile yet durable material, the object seems to be suspended or falling, implausibly defying gravity. Levitación, 2015. 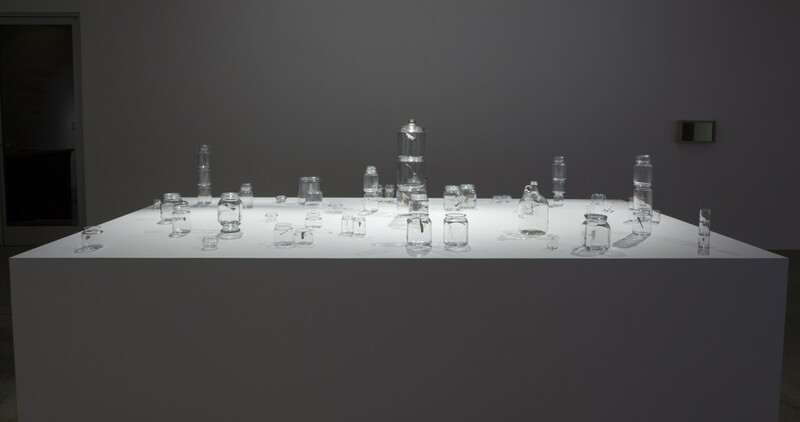 Spiderwebs, feathers, leaves, insects and paper in 57 glass jars, Dimensions variable. Levitación is literally site specific. The spiderwebs need to be found around the exhibition space. In this case they were found in the gallery, its parking lot, its rooftop, and the gallery owner’s house. Rasgado began Levitación some years ago as an experiment, seeking to construct an exhibition using only those elements found on site, a particularly difficult task for an artist facing a white cube. Rasgado’s work, with these tensions of fragility and strength, the seen but not seen, set up a system of double references, relating to both art and life, and to their mutual tension. I think it is the core meaning of the artist’s investigation, and the key to the exhibition as presented. Lightning, 2011. 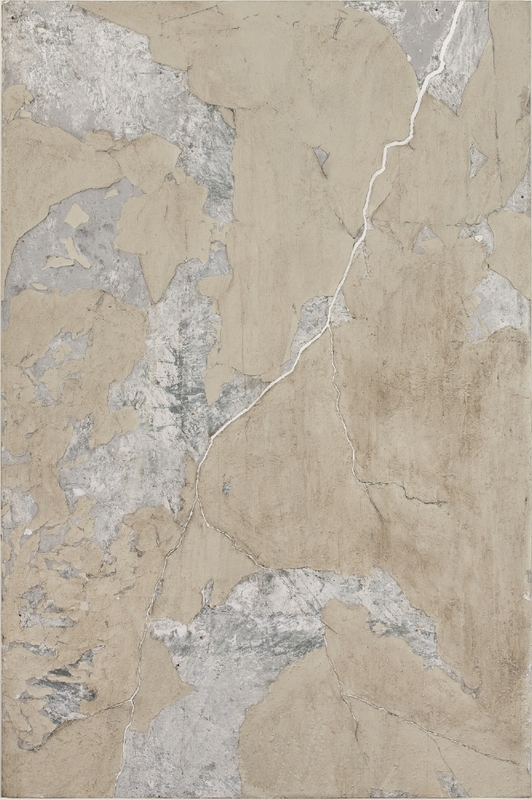 Acrylic, plaster and dirt on canvas, 118 X 79 inches. share this ethos. Artists are prone to look at their most immediate surroundings and find art there, like DaVinci famously, who urged his students to find beauty in urine stains on the walls of Florence. Arthur Danto talked about the “transfiguration of the commonplace,” and in line with what Danto suggested, there is a metaphysical quality in how Rasgado’s work shifts from materials to conceptual premise. Lightning, 2011 is actually a wall surface that has been removed using the “strappo” technique that conservationists use when removing frescoes from a wall — they remove the surface with adhesive and then adhere it to a new support, or canvas. They are literally “tearing” the skin of paint off the wall and saving it onto a new surface. Those paintings in the exhibit have been selected and extracted in relation to the events that occurred on the surface, in which the image is a direct result of an event that left a mark on the painted surface. Some of them are the result of a socio-political situation, such is the case of Av. Corona del Rosal, which is included in the show and where you can see the extracted painting of a fragment of a wall in a busy street in the outskirts of Mexico City. The soiled surface resumes a determined amount of time that the material has been exposed to the comings and goings of people. Avenida Corona del Rosal, 2015. Diesel soot, polycyclic aromatic hydrocarbons, tire and brake wear particles and dirt on canvas, 47 x 47 inches. These paintings do record a moment in time: Avenida Corona del Rosal, 2015, for example, is a painting that follows a previous extraction done in 2011, on the same spot, where this new extraction was performed. After the first extraction done in 2010 that resulted on Avenida Corona del Rosal, 2011, the wall was painted white again. Five years later, this wall that started white was exposed (as in a photograph) to the dynamics of that particular place, and an image started to appear. Here it seems the artist serves less as a documentarian of political and social upheaval, and more as an anthropologist of the deteriorating industrial urban landscape. Also in the show are light box photos, with adjoining mirror boxes in which reflections containing additional images create surprising narratives. Bird 2015 depicts a large bird, its wings outstretched, in the first box. Bird, 2015. 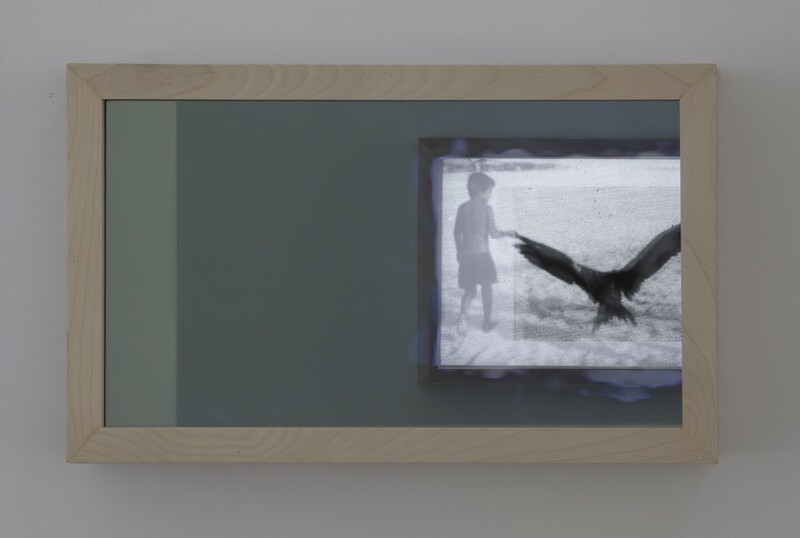 Electrical components, mirror and wood frame, 11 x 18 1/4; 23 x 38 inches. Behind the viewer, and across the room, you have to look hard to see that there are images of boys in the other box. They stand on either side of the bird holding the tips of its wings. They are in the process of clipping the wings, apparently either preparing to capture or to hurt the bird, or perhaps to kill it. This is a somewhat startling experience. 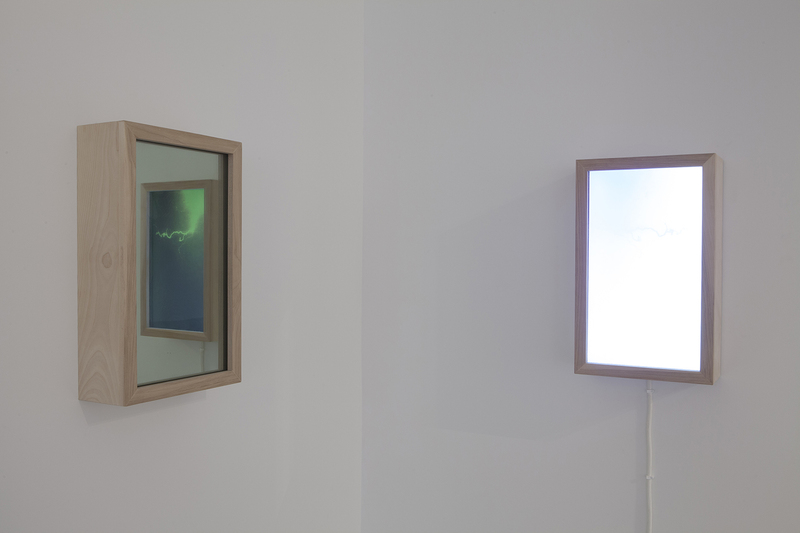 In Lightning, 2015, two boxes are hung adjacent and catty-corner. One box is bright white, the other a mirror, and empty. You look at the empty box for some time, and nothing happens, until suddenly a bolt of lighting appears, the afterimage holding for a few seconds. This repeats some minutes later. Regarding Miracles, I can’t say that I have witnessed one, but I have found surprising things that elude rationality, or that give an inside on how the world is intertwined. In most of the cases these are minor things, that go unnoticed, but that condense a universe of situations. Those are the things that interest me the most. What contains a complex cosmos, or allow us to see things differently. Myself, I may still be hoping to witness one. I look for it every time I encounter an artist as interesting as Pablo Rasgado, to see if there may be a small miracle at hand.